I've been painting with acrylics since childhood and enjoy sharing tips about working in this versatile and easy-to-learn medium. 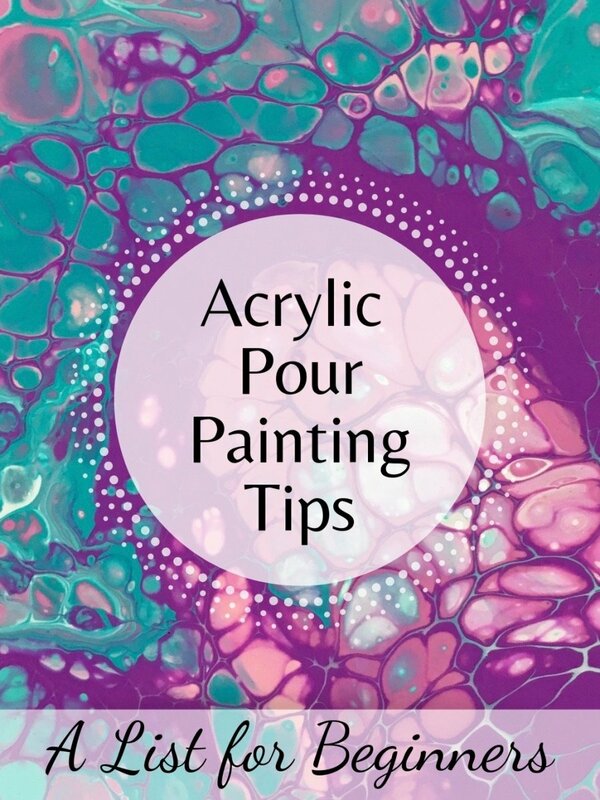 If you're new to acrylic pour painting, this article offers tips to help make your paintings more successful, lists some simple mistakes to avoid, and ways to develop your skills to create paintings you love. What stage are you at with your acrylic pouring? When you put time and effort into a painting, the last thing you want is to find is dust, pet hair or even bugs dried into the finish. You can avoid this by cleaning, dusting and/or vacuuming the entire room where you work. Keep fans and ceiling fans off when you’re painting and while the piece is drying, because they can blow dust particles around. Open windows can have the same effect, especially on a breezy day. Windows can also let in bugs and they might land in your wet paint. If you have pets, set up your workspace in a place they can’t access. You'll avoid pet hair problems, or finding a tipped painting and a pet covered in paint. I learned this lesson the hard way when I did one of my first paintings on a surface that looked level but wasn’t. The paint dried in a thick pool on one edge of my board and looked thin on the other. 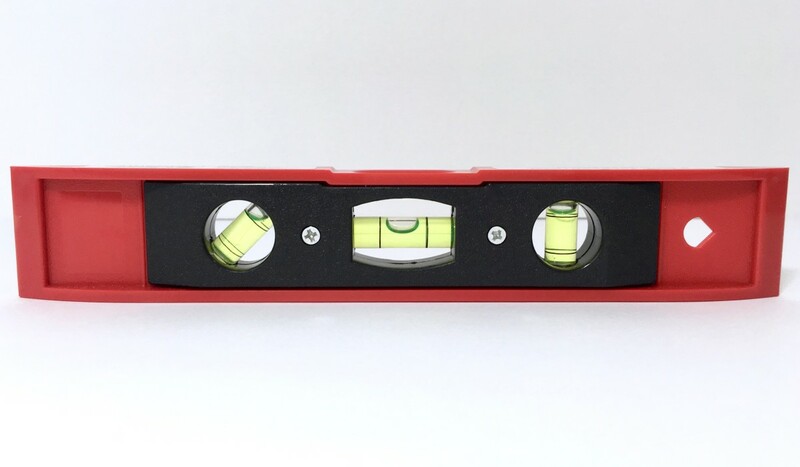 If you don’t already have a level, get a basic one at hardware store so you can check your canvas or board before you start pouring. If you have an iPhone, there's a level app on it that works just as well. For me, this has made a huge difference and every painting I’ve done since has dried with an even finish. Try to have a general idea of what theme and colors you’d like before getting started. Simple things like choosing colors that look nice together can help you avoid a painting with a muddy look. 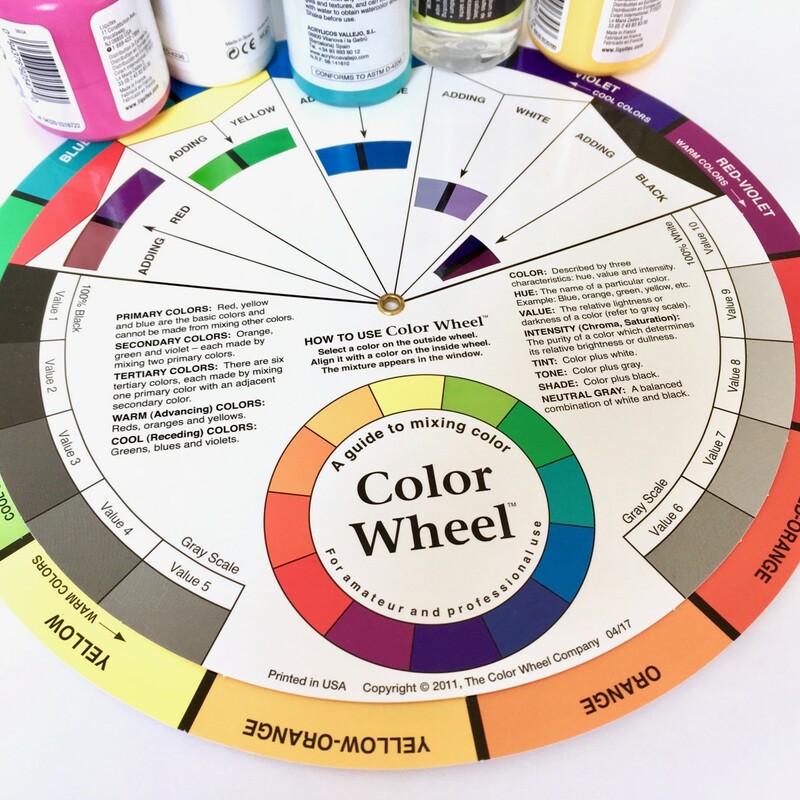 If you’re not familiar with choosing or mixing colors, a color wheel can be useful. As a beginner, one of the best ways to improve your acrylic pouring skills is to learn what works for you and what doesn't. It's helpful to write down and save the “recipe” and process for each of your paintings. 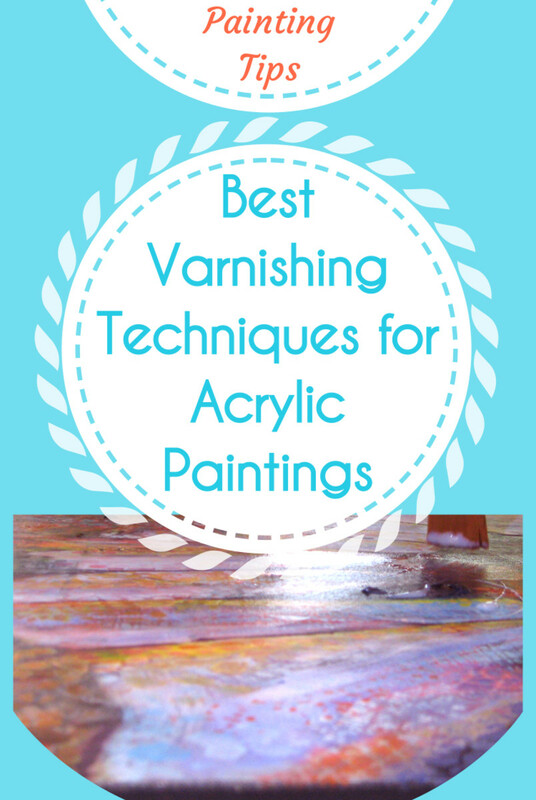 If a painting turns out well, you’ll know what specific products and method you used, and how to create a similar one. If it doesn’t, you’ll know what to avoid. 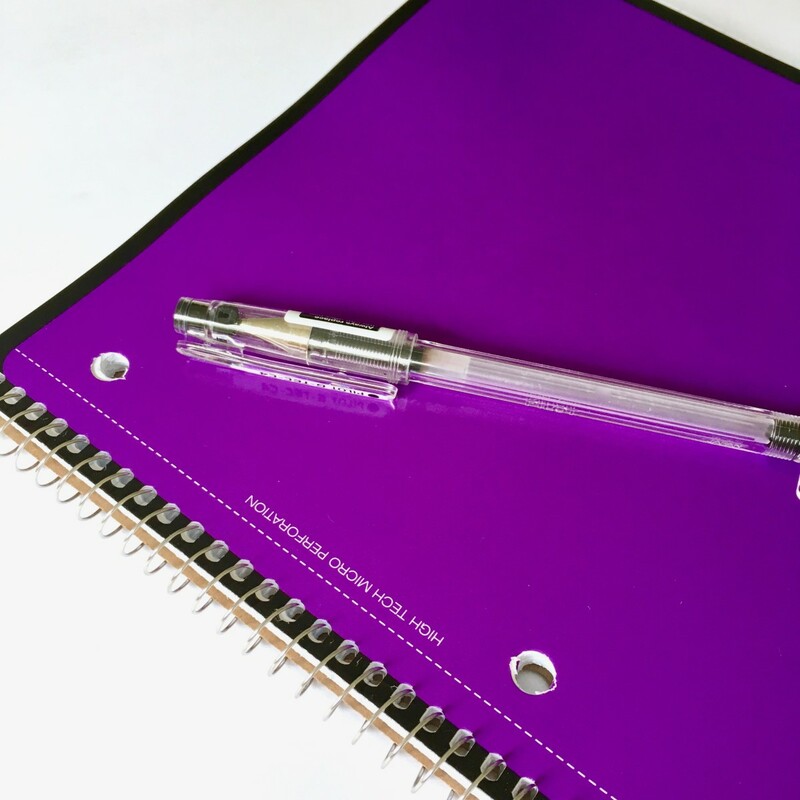 This doesn’t take too much time and can save you time and money on supplies in the long run. After a few paintings, you’ll likely see a pattern of what products and/or techniques create your best work. These notes can be written in a notepad, on your phone, or whatever you prefer. 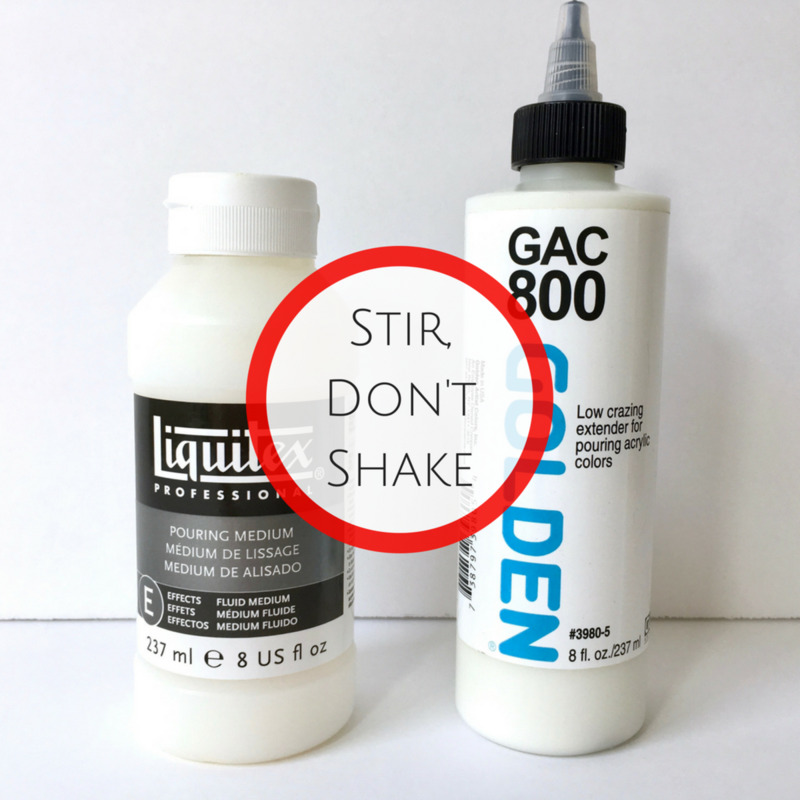 This is an easy mistake to make if you’re new to pouring, but shaking a bottle of pouring medium can create little air bubbles that will get trapped in the surface of your work. 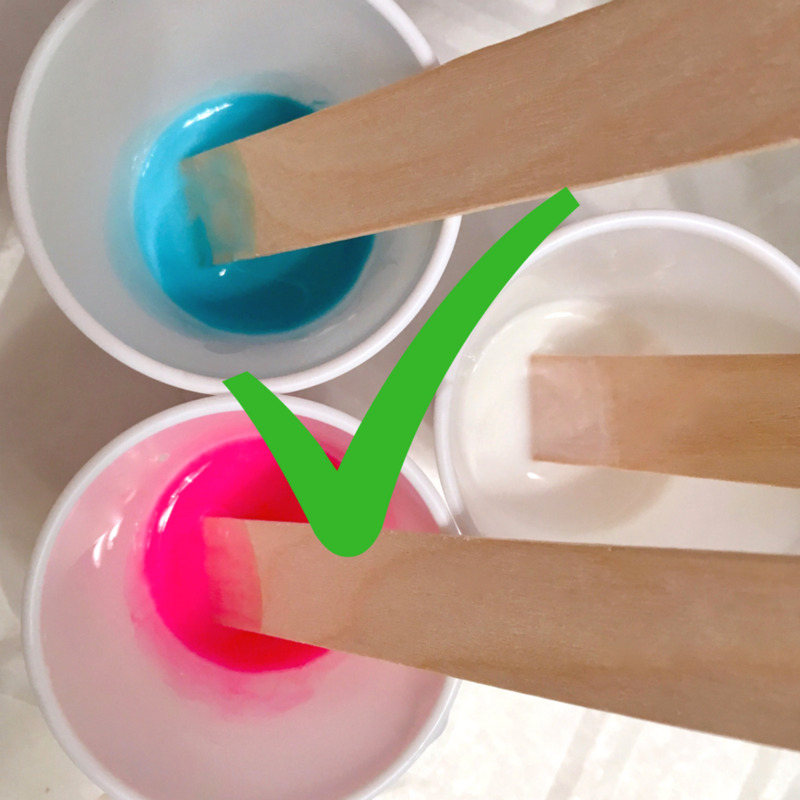 If you need to mix or blend paint, use a clean wood craft stick. Stir very slowly and gently and you'll avoid adding air bubbles. 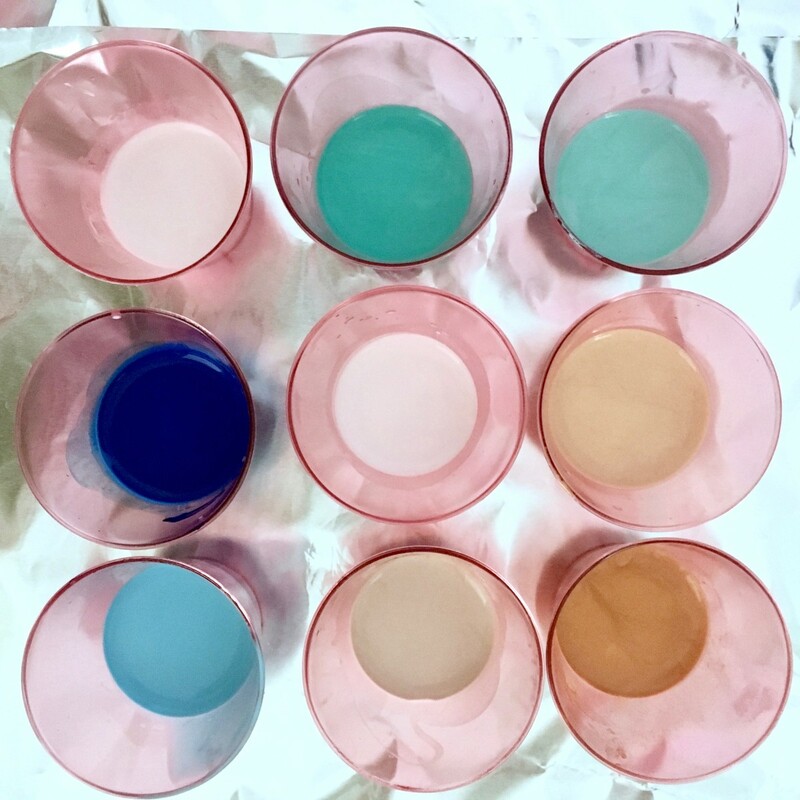 It’s easier to mix paint and pouring medium in smaller cups because you can see if the paint is completely blended. You'll also avoid wasting large cups if you’re only doing a smaller painting. For small to medium size pour paintings, I use Solo 3-Ounce Plastic Cups. 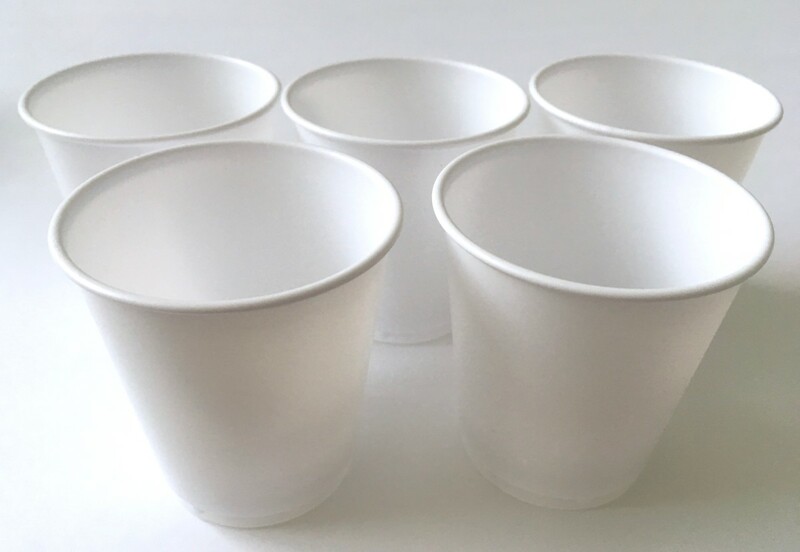 They’re just the right size for pouring directly from, or for mixing colors to pour into a larger cup for a flip cup or dirty pour technique. What's your biggest challenge as a beginner? Acrylic pouring is very messy. Once you’re wearing gloves dripping in paint, it’s not always possible to go find that one supply you forgot. Spend a few minutes before starting to make sure you have everything you need within reach of your workspace. This could be paper towels, wood craft sticks, palette knives, or a heat torch if you use one. 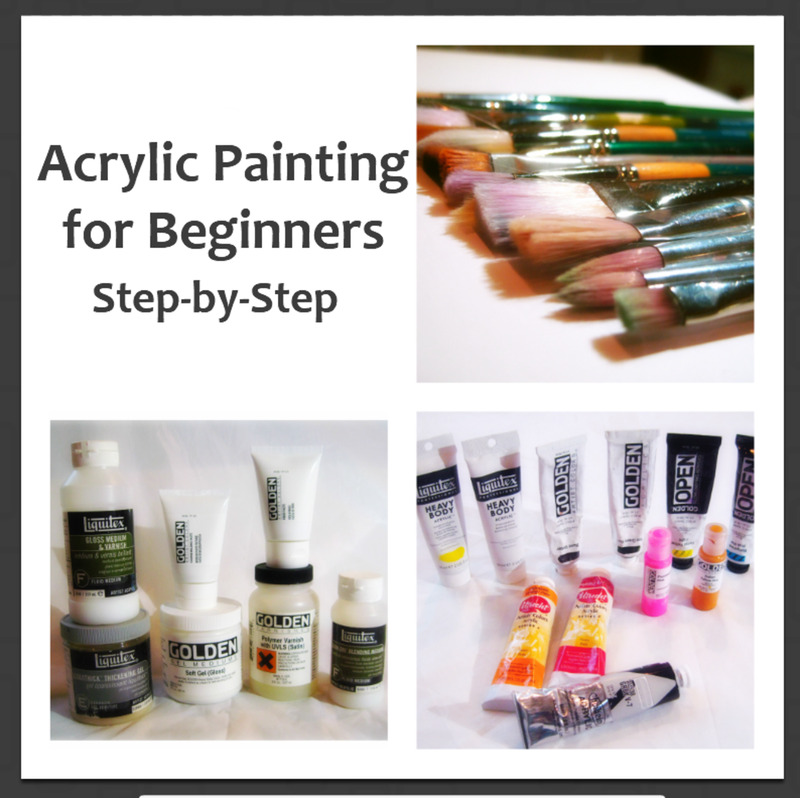 If you're brand new to this type of painting and aren't familiar with the supplies used, I have a list of the basics in my article: Pour Painting Supplies for Beginners. If you otherwise like how your painting looks, be cautious about making a change that may or may not work out. If you're confident you can improve something, go for it. If not, save the idea for your next one. No matter how your earliest paintings turn out, save them. As you gain experience, you’ll find it interesting to look back and see how far you've come. Once you try acrylic pouring, you’ll probably have so much fun that you’ll be tempted to mix more colors and start new paintings. However, it might be better to work on only a few at a time while you’re still getting familiar with this technique. Why? Even with a plan, you won’t quite know how your paintings will turn out until they’re dry. This is especially true when using a new brand of paints or other supplies you haven’t used before. When a painting is completely dry (which could take a day or more), you’ll be able to see what you like about it, what you don’t, and decide if there's anything you want to improve on in your next round. 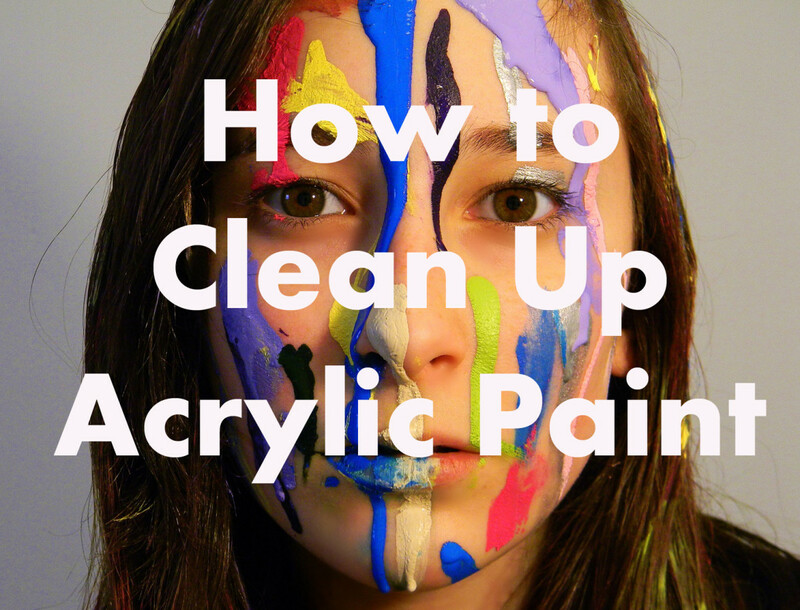 This way, you’ll save paint, canvases and have fewer works that don’t turn out as well as you hoped. 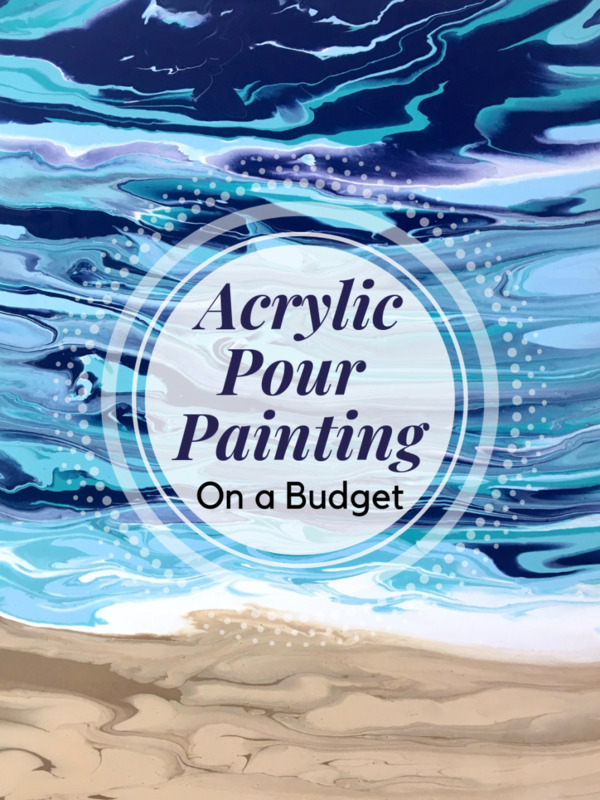 Consider taking an acrylic pouring class at a local arts & crafts store. 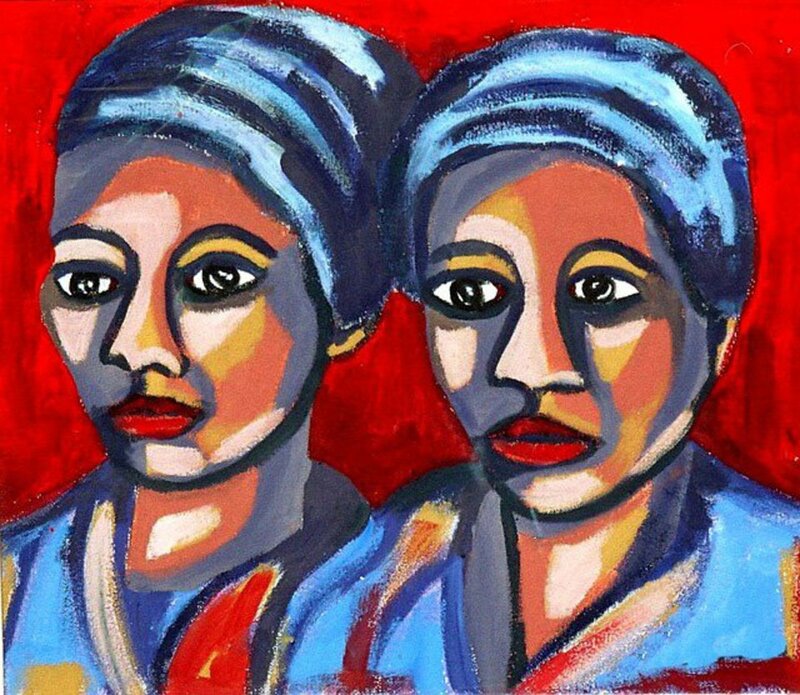 These also may be offered at art schools or continuing education schools in your area. Even if you already know the basics, it helps to learn new techniques and perspectives from an instructor. 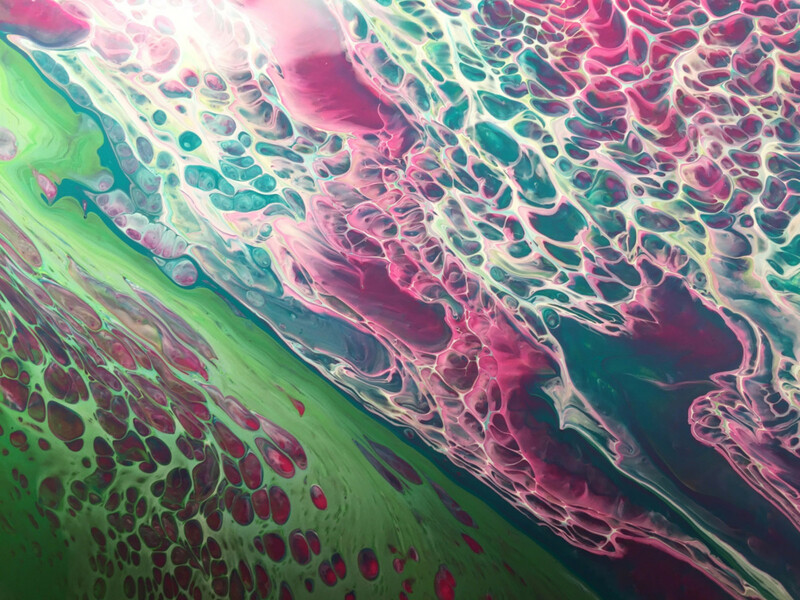 You can learn all about acrylic pouring without leaving your house. There are many artists who share video demonstrations of various pouring techniques on YouTube, IGTV and social media sites. This is a way to learn new tips, tricks and get ideas for things to try in your future work. 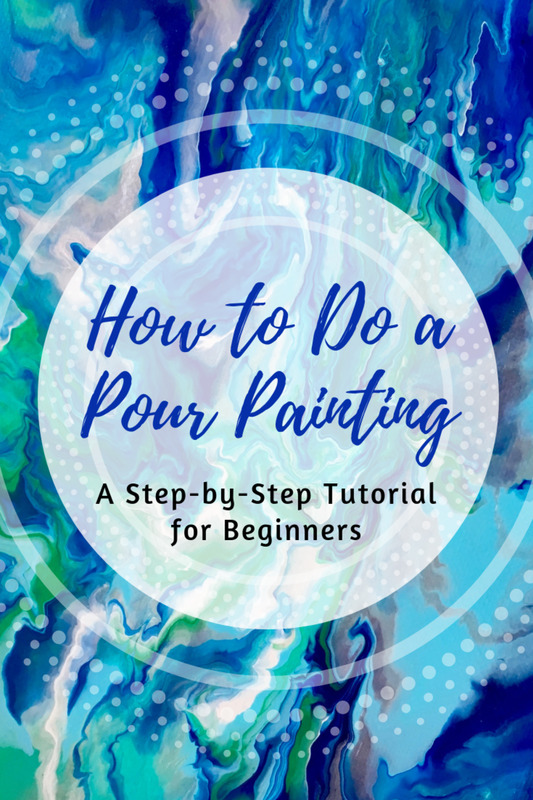 For a step-by-step tutorial of how to create an acrylic pour painting from start to finish, see my article: How to Do a Pour Painting: A Tutorial for Beginners. One of the best things about acrylic pouring is that you don’t need an art background to learn this technique. 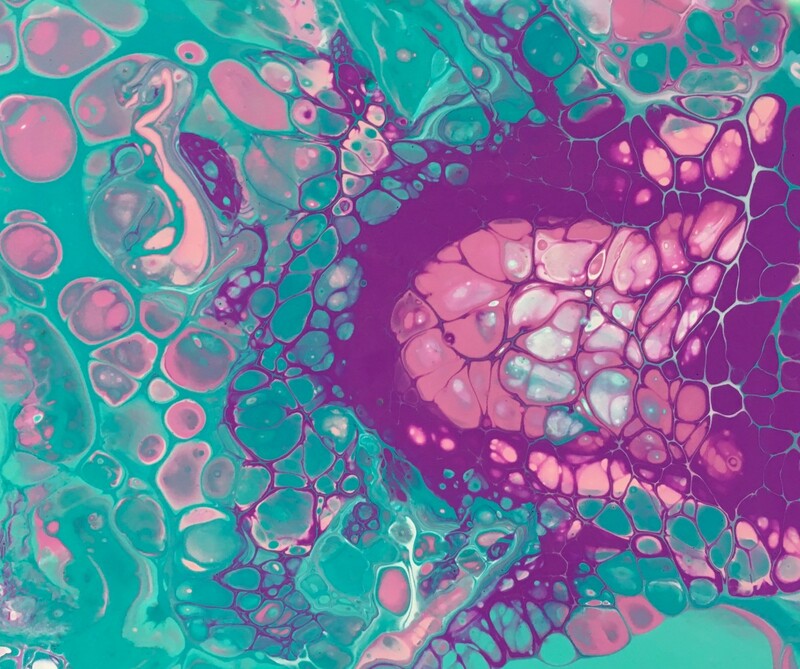 That said, the more knowledgeable you are about paints, mediums and mixing colors, the more confident you’ll be to try more advanced pouring techniques. It's also beneficial to learn about other aspects of art, such as composition, sketching and traditional acrylic painting. 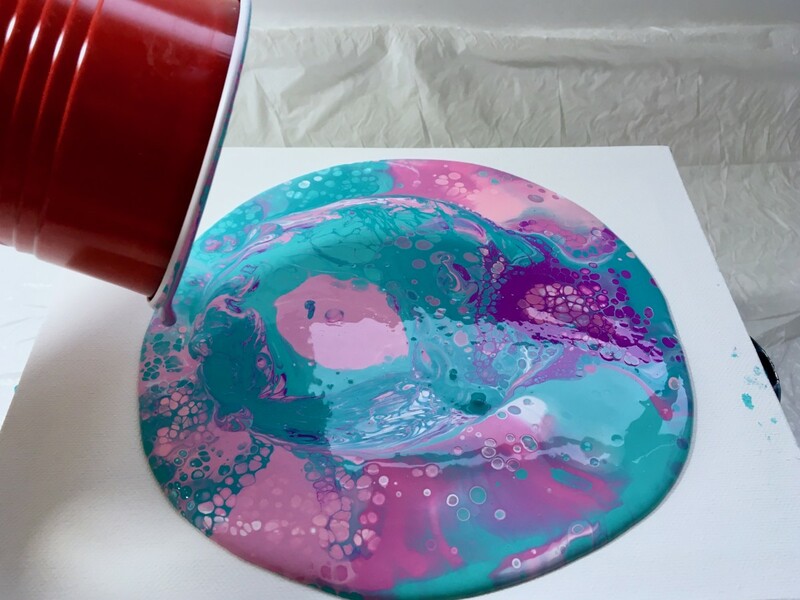 You may find these skills will make pour painting come easier to you. Thank you for reading this article. I hope you've found these tips helpful. Eve - Are you using a lot of silicone oil? It only takes a small amount. Just two or three drops in a small cup stirred in with the paint. If you add too much, it might not work. Hello Marnie - It could be many things. Since it was just one area, maybe the paint was too thick there, or it pooled and cracked. I don't know if you added water to the mixture or not, but that sometimes causes the paint to crack as it dries. I hope this helps. Thanks for your comments and question. Hi- I tried my first pour painting and love the look. But as it dried overnight I had one area that really developed large ugly cracks. It looks like the paint is actually going to flake off the canvas. Did it get too thick, dry to fast or was my mix of paint to floetrol off do you think? Jessica - Yes, it can. 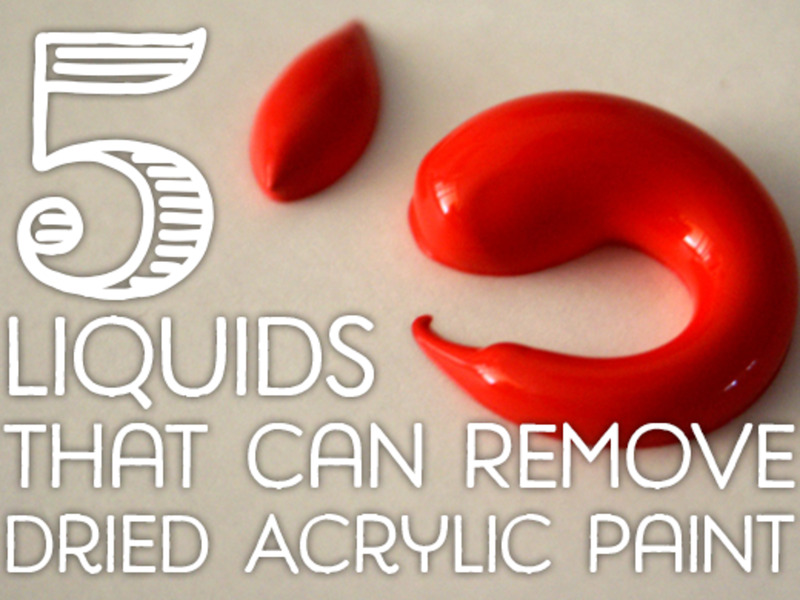 Use pouring medium to thin the paint so it's more fluid, then stir it until it's completely blended and smooth. Then add more pouring medium until it's a good consistency for pouring. This is usually a little thicker than a liquid coffee creamer. I hope this helps! Thanks for your question. 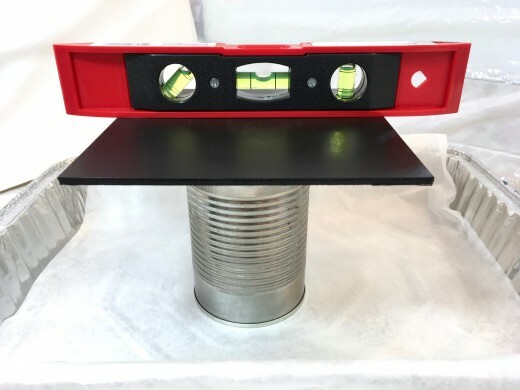 Can acrylic tube paint used for pouring? Hello Jesse, I haven't used Floetrol, but I have heard you can mix those two to make cells. Thanks for your question. Hi there I just have a question about pouring,to make the cells can l mix floetrol with silicon?? Hi Elayne, I'm glad you liked the article. The clocks on records sound fun to try. I've seen pictures of them, but haven't had the chance to try one yet. I hope you get time to paint. It can be addicting for sure. Thanks for your comments! I was mesmerized by the acrylic pouring on youtube. For Christmas I gave several of my pieces away for gifts. I actually made three clocks on records from the thrift store. It was fun and now I'm addicted. Wish I had more time to play with the paints since I bought plenty of them when they were on sale. Good article!